Looking to Go Green? Use with (optional) Electric Heating Element, Item #9520. Foods stay at a consistant temperature, and it eliminates the expense of purchasing canned fuel. For additional inserts, see Item #539-66/30. Replacement Water Pan is Item # 539-60/30. 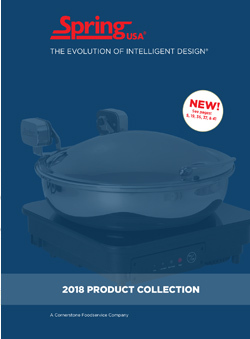 Chafing dish features our special, tip-up, rolltop cover, for easy insert removal. This chafing dish comes with one, full sized insert pan. Additional water pan can be ordered. Request Item #952-61. Replacement covers are also available. Reference Item E592-61. For additional inserts, contact your Spring USA Sales Coordinator. 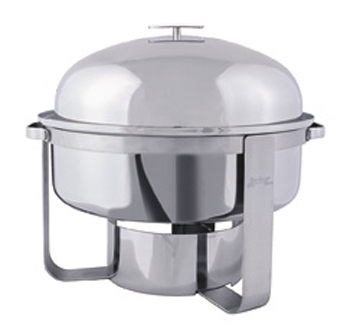 This chafing dish can accept standard 1/2 pans, 1/3rd or 1/4 inserts. To order Spring USA insert pans in a 1/2 pan, 1/3rd pan or 1/4 inserts, reference Item #’s from our 521 or 522 series of insert pans. These inserts can be found on Page 22 of our current product catalog. Going Green? Opt for our (optional) Electric Heating Element. Request Item #9517. 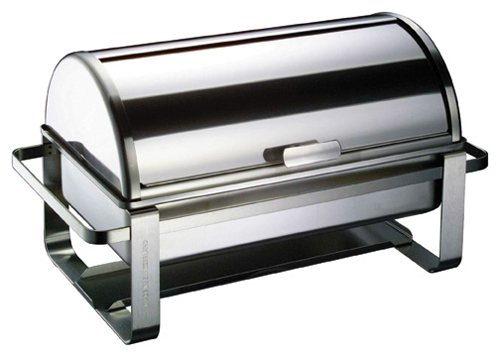 All Spring USA Chafing Dishes Carry a Ten-Year Warranty for Manufacturing Defects on Welding.